The U.S. Navy got a lot of press in 2017, and a lot of it was negative. In the Pacific, there were two incidents where U.S. Navy ships collided with civilian vessels, and as a result 17 American Sailors lost their lives. In the wake of these incidents, report after report has come out detailing how the U.S. Navy’s surface fleet is overworked and overwhelmed. After the collisions, several U.S. Navy commanders lost their jobs, and charges were filed against five Navy officers for offenses ranging up to negligent homicide. This is an almost unprecedented move, and the Navy is attempting to both satisfy the public outcry and remedy the training and readiness shortfalls that have plagued the surface warfare community for some time. The point isn’t to shame Navy leadership, but rather to point out that the Navy’s surface fleet is terribly overworked. As a nation we are asking them to do too much. Reports show that while underway, Sailors typically work 18-hour days, and fatigue has been cited as a major factor in the collisions. While there may be a desire to generate more overall mine warfare capacity, it is unrealistic to expect the rest of the surface fleet to assume any additional burden for this mission area. The surface fleet needs to refocus its training and resources on warfighting and lethality. Of all of its currently assigned missions, mine warfare in particular could be transferred to a seabed-specific command. A Seabed Command would focus entirely on seabed warfare. It could unite many of the currently disparate functions found within the surface, EOD, aviation, and oceanographic communities. Its purview would include underwater surveying and bathymetric mapping, search and recovery, placing and finding mines, testing and operating unmanned submersibles, and developing future technologies that will place the U.S. on the forefront of future seabed battlegrounds. The seabed is the final frontier of the battlespace. Even low earth and geosynchronous orbits have plenty of military satellites, whether they are for communication or surveillance, but the seabed, except for mines and a few small expeditionary vessels, remains largely unexplored. There are several reasons for this. For one, it’s hard to access. 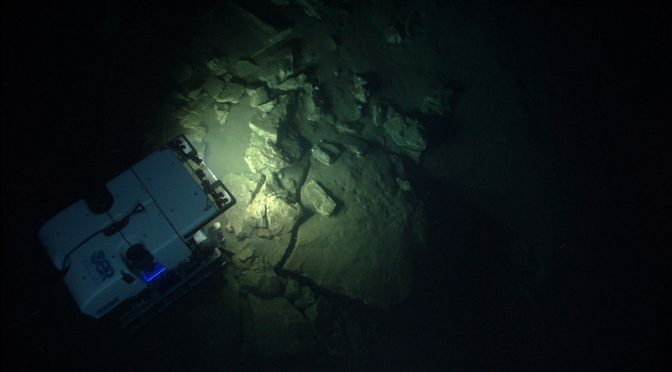 While the U.S. Navy has a few vehicles and systems that allow for deployment to deep depths, the majority of the seabed remains inaccessible, at least not quickly. Since the collapse of the Soviet Union, this hasn’t been a huge problem. Except for in rare cases of submarine rescue, there has been little need for the Navy to deploy forces to extreme depths. That is changing. Secretary of Defense Mattis has made it clear that in the coming years, threats from nations such as Russia and China will make conventional forces more relevant than they have been in the past 20 years. It is imperative that the U.S. Navy has a solution to rapidly deploy both offensive and defensive forces to the seabed, because right now it can’t. While mine-hunting robots have been deployed to Arleigh Burke destroyers, it seems unlikely that in a full-scale war the Navy will be able to direct these assets to work full-time at seabed warfare. After all, they’re too valuable. 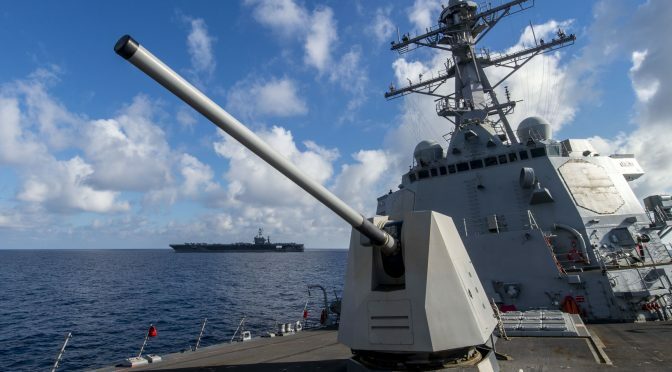 The Arleigh Burke destroyer proved its mettle in Iraq; being able to place cruise missiles through the window of a building certainly has a deterrent effect. But this also means that any attempts to add mine warfare to the destroyers’ responsibilities will be put on the back burner, and that will allow enemies to gain an advantage on the U.S. Navy. There is simply a finite amount of time, and the Sailors underway cannot possibly add yet more tasks to their already overflowing plate. It would take a great deal of time for Sailors onboard the destroyers to train and drill on seabed warfare, and that’s time they just don’t have. No matter how many ways you look at it, the surface fleet is already working at capacity. What is needed is a new naval command, equipped with its own fleet of both littoral and deep-water ships and submarines, which focuses entirely on seabed warfare. In this new command, littoral ships, like the new Freedom Class LCS, will be responsible for near shore seabed activities. This includes clearing friendly harbors of mines, placing mines in enemy harbors, searching for enemy submarines near the coast, and denying the enemy the ability to reach friendly seabeds. The deep-water component will be equipped with powerful new technology that can seek out, map, and cut or otherwise exploit the enemy’s undersea communications cables on the ocean floor, while at the same time monitor, defend, maintain, and repair our own. It will also deploy stand-off style torpedo pods near enemy shipping lanes; they will be tasked with dominating the seabeds past the 12 nautical mile limit. We have to be prepared to think of the next war between the U.S. and its enemies as total war. Supplies and the transfer of supplies between enemy countries will be a prime target for the U.S. Navy. We have to assume that in a full nation vs. nation engagement, the submarines, surface ships, aircraft carriers, and land-based aircraft will be needed elsewhere. Even if they are assigned to engage enemy shipping, there are just not enough platforms to hold every area at risk and still service the required targets. For example, the U.S. will need the fast attacks to insert Special Forces troops, especially since the appetite to employ the Special Forces community has grown in the last 20 years. They will also be needed to do reconnaissance and surveillance. Likewise, the aircraft carriers will have their hands full executing strike missions, providing close air support to ground troops, working to achieve air superiority, and supporting Special Forces missions. Just like the surface fleet is today, the submarine fleet and the aircraft carriers will be taxed to their limit during an all-out war. That’s why a seabed-specific command is needed to make the most of the opportunities in this domain while being ready to confront an adversary ready to exploit the seabed. Suppose that during a total war, the Seabed Command could place underwater torpedo turrets on the seabed floor, and control them remotely. A dedicated command could place, operate, and service these new weapons, freeing up both the surface and the submarine fleets to pursue other operations. Under control of Seabed Command, these cheap, unmanned torpedo launchers could wait at the bottom until an enemy sonar contact was identified and then engage. Just like pilots flying the MQ-9 Reaper control the aircraft from thousands of miles away, Sailors based in CONUS could operate these turrets remotely. Even the threat of these underwater torpedo pods would be enough to at least change the way an adversary ships crucial supplies across the ocean. If the pods were deployed in remote areas, it would force the enemy to attempt to shift shipping closer to the coast, where U.S. airpower could swiftly interdict. 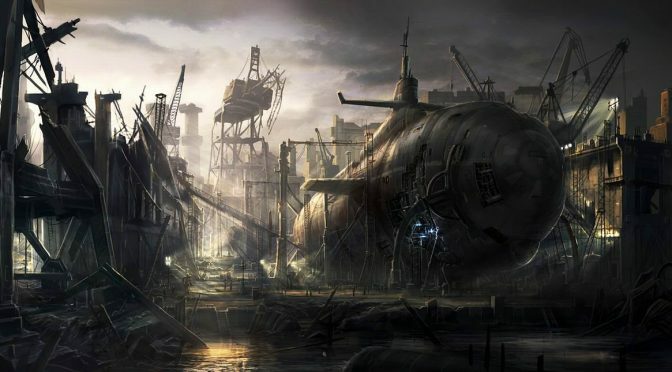 The final component of Seabed Command would be a small fleet of submarines, equipped for missions like undersea rescue, repair, and reconnaissance. The submarines would also host saturation diving capabilities, enabling the delivery of personnel and equipment to the seafloor. Because these assets are only tasked with seabed operations, the Sailors would receive unique training that would make them specialists in operating in this unforgiving environment. A brand new Seabed Command and fleet is order. It will be made up of both littoral and deep water surface ships, unmanned torpedo turrets that can be deployed to the ocean floor and operated from a remote base, and a small fleet of submarines specially equipped for seabed operations. The U.S. Navy cannot rely on the surface warfare community to complete this mission; they are simply too busy as it is. While the submarine force might also seem like a logical choice, in a full-on nation vs. nation war, their top priorities will not be seabed operations. Only a standalone command and fleet will ensure America’s dominance at crush depth. Joseph LaFave is a journalist covering the defense contracting industry, defense trends, and the Global War on Terror. He is a graduate of Florida State University and was an engineer at Lockheed Martin. Fiction offers a powerful tool for posing questions and envisioning change. CIMSEC will be launching a topic week featuring short stories that use fiction as a way to better understand contemporary defense and foreign policy challenges. Submissions can take place in any time period. Send us your stories to challenge conventional wisdom, reveal problems or solutions, and spark imagination. The U.S. 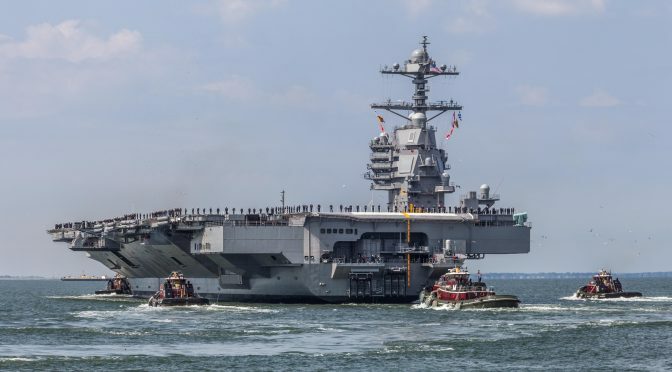 Naval War College’s Institute for Future Warfare Studies is partnering with CIMSEC to solicit articles putting forth concepts for the U.S. Navy’s capital ship of the future and its potential complement of unmanned and manned systems. Within the DC Beltway in the past year or so, most of the conversation surrounding the size of the U.S. Navy was focused on the “number of ships” or “ship goal.” The Navy formally started the discussion with its 2016 Navy Force Structure Assessment establishing the need for 355 ships compared to the official requirement of 308 ships set in 2014. MITRE Corporation concluded that the Navy needed 414 ships while CSBA set their number at 340 ships. In attempting to project the force of the Navy for 2030-2045 and beyond, all of these studies have made a critical, and unproven, assumption that the aircraft carrier remains the capital ship in the future supported by large, multi-mission surface ships and submarines. By making this assumption, the studies further assume that the combat potential and combat power of the USN is and will continue to be measured by the size and number its capital ships. As long as the Navy conceptualizes and communicates fleet combat power solely in terms of warship inventory – manned ships and submarines – the basis for Navy capabilities and future fleet force structure will not change and continue to be built upon a logic that, while important for many reasons, is also increasingly anachronistic. Furthermore, this fixation on ship inventory is not reflective of the afloat combat power that adversaries have and will deploy in the not-too-distant future as unmanned systems and automation proliferate. The result will be a comparative, and potentially dangerous, mismatch in capabilities and combat power between the USN and potential adversaries. Counting hull numbers today is comparable to using numbers of guns, numbers of sailors, or gross tonnage displaced all from the past. In the 1800s, the Royal Navy’s rating of their ships was based on the number of guns and number of sailors onboard. In the early 1900s, the U.S. Navy’s rating system was based on gross displacement. Assuming a modern warship that displaces 10,000 tons delivers five times the combat power of a hull displacing only 2,000 tons is no longer valid. Guns, sailors, gross displacement, and numbers of hulls served the navies of their time well. But this obviously no longer holds true. Combat power in future navies will not merely be a function of the size of the ship. Technological and operational advancements have changed the calculus. Properly designed, outfitted and operated, today’s smaller ships can carry and deploy weaponized unmanned vehicles, capable of combat under, on, and above the sea. The imperative for modernizing naval power emerges when combat power is severed from the hull with unmanned systems. Consider one example: a nuclear-powered aircraft carrier, the U.S. Navy’s principal capital ship since the 1940s, has no appreciable inherent combat power despite displacing approximately 100,000 tons. Its significant combat power emerges from the embarked air wing. The air wing’s combat power leaves the hull for the fight for sea control or projecting power ashore. Yesterday’s “unmanned future,” coming for a decade or longer, has already arrived. Any discussion of future Navy force structure must explicitly and substantively address unmanned systems in a force where 25 percent to 50 percent of the combat power and 50 percent to 75 percent of surveillance capabilities could potentially reside in unmanned systems. Additionally, today’s discussion of Navy force structure must also explicitly and substantively address the network of humans and machines that enable the capabilities of these unmanned systems. Without unmanned systems and their associated network of humans and machines, the U.S. Navy could well fall short against many adversaries, most of whom could have smaller fleets than even planned for in USN force structure documents, but may punch well above their weight and in ways that contemporary ship-counting paradigms do not see coming. While programmatic, fiscal, and bureaucratic pressures may demand such measures of naval power, it fails to provide a non-linear vision; one of “families” of modular unmanned systems – micro, small, medium, large and extra-large; air, ground, surface, sub-surface, and seabed – all disconnecting combat power from the ships and with the capability to disaggregate and re-aggregate capabilities to meet warfighting needs. Such potential could allow a future fleet to have reach and effect well beyond the numbers of ships and hulls that are used to describe the fleet of today. Getting to a more powerful fleet for the 2020s and 2030s by following a path toward more traditional capital ships will be increasingly challenged to succeed, especially in an operating and warfighting environment characterized by rapid technological change. Rather, embracing unmanned systems – hundreds and even thousands of unmanned systems – may achieve the U.S. Navy needed for the future. Any vision for the future Navy must address unmanned systems as strongly and forthrightly as it does manned systems. Authors are invited to write on what should be the capital ship of the future Navy and concepts of employment for myriad types of unmanned systems, both hypothetical and real. Authors should send their submissions to Nextwar@cimsec.org. This Topic Week has since concluded and submissions may be viewed here. Professor William G. Glenney IV is a part of the Institute for Future Warfare Studies at the U.S. Naval War College. The views presented here are personal and do not reflect official positions of the Naval War College, DON, or DOD.